Managed By Q provides office cleaning & other smart services for office operations. Managed by Q is the platform for office management. We help the worlds leading companies build, design, staff, & manage their workplaces. By connecting office operations teams to dedicated workplace experts & top commercial service providers, Managed by Q enables companies to create inspiring offices & a deliver a great workplace experience for their teams. 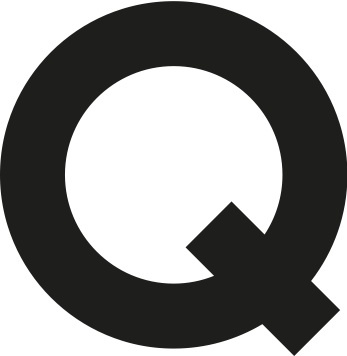 Managed by Q was founded in 2014 with a vision of changing how we interact with our workspaces. Today, our team helps thousands of companies nationwide operate their offices & create an environment that inspires their teams best work. Empowering others & building diverse & inclusive teams are core to Managed by Qs mission. We are committed to creating good jobs, helping small businesses grow, & enabling companies to focus on what they do best. Managed by Q is headquartered in New York, with offices in San Francisco, Los Angeles, Chicago, & Boston. Managed by Q is backed by the worlds leading investors, including Google Ventures, RRE, Homebrew, Greycroft, & Staples. If you have a love of learning, are drawn to hard problems, & want to spread opportunity within your community, wed love to meet you. Youre solutions oriented. When faced with a customer issue, you listen to their needs & provide the best answers to keep the customer happy. Youre personable & professional. You know how to provide great service & build trust with the customer so that they look at you as a consultant to their business. You're process driven. You come into each day with a plan & work efficiently. You stay cool under pressure. An uncomfortable situation doesnt faze you. You see every challenge as an opportunity to learn & come out better on the other side. Provide support for our customers & partners for general requests day-to-day issues. Proactively contact a subset of clients to educate them on the product, Q's service offerings, & identify opportunities for growth. Collaborate with internal teams to keep the Q's operations running smoothly.